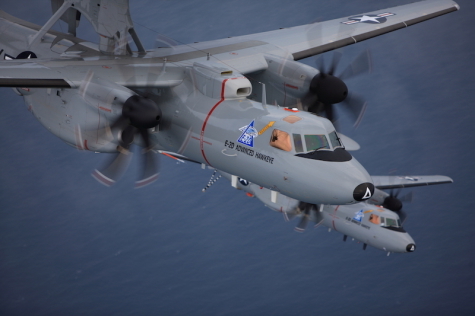 Northrop Grumman Systems Corp., Aerospace Systems, Melbourne, Florida, is awarded $3,169,708,972 for modification P00006 to definitize the previously awarded E-2D Advanced Hawkeye (AHE) Lot 7 advance acquisition contract (N00019-18-C-1037) to a multi-year fixed-price-incentive-firm contract. Work will be performed in Melbourne, Florida (20 percent); St. Augustine, Florida (19 percent); Syracuse, New York (19 percent); Indianapolis, Indiana (5 percent); El Segundo, California (5 percent); Menlo Park, California (4 percent); Rolling Meadows, Illinois (2 percent); Air-sur-l'Adour, France (2 percent); Owego, New York (2 percent); Woodland Hills, California (1 percent); Greenlawn, New York (1 percent); Edgewood, New York (1 percent); Windsor Locks, Connecticut (1 percent); Marlboro, Massachusetts (1 percent); Independence, Ohio (1 percent); West Chester, Ohio (1 percent); Torrance, California (1 percent); and various locations within the continental U.S. (14 percent). Work is expected to be completed in August 2026. Fiscal 2019 aircraft procurement (Navy) funds in the amount of $943,584,001 will be obligated at time of award, none of which will expire at the end of the fiscal year.